Playing pitch shots into or with or across the wind needs you be able to play the “knockdown”, lower trajectory pitch shot. This is a great shot, even without the wind. It’s so much easier to control distance. that finish like this. The ball flies lower and stops quicker. Your control and consistency are improved. with the hands staying ahead of the clubface to deloft the club. The upper body has rotated, but the movement of the arms is restrained. The angle of attack on the ball is very shallow, and you hardly see a divot. The trajectory of the ball will be lower. 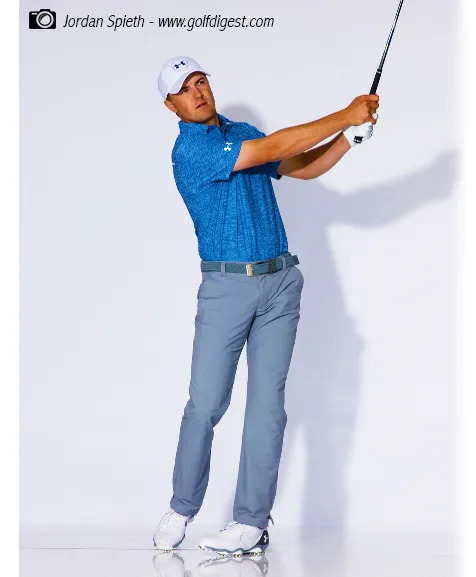 Generally, you don’t need more height on wedge shots. You want control of distance. Wind, or no wind, you’ll have better control of distance, with a lower trajectory wedge shot. the best players will take the knockdown every time. 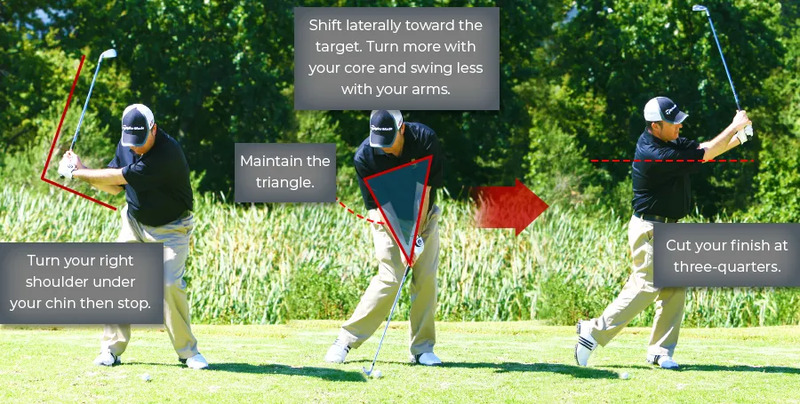 Take your wedge and practice this shot. When you feel you have it, then dial in your distances. Wind conditions will have far less impact. You’ll have far more control.